Education is a fundamental human right. Every individual, male or female, everywhere, is entitled to a quality education to help build a better long-term future. Then, why are there still 264 million children and youth globally out of school? This deprivation not only has long-term consequences for those individuals affected, but also for the next generation, who become part of a repeat cycle of inequality and poverty. There are many reasons for children being out of school. Affordability, lack of teachers, family pressures, and political conflicts all mean children are unable to get the opportunity to access and succeed at school. The resulting OUTCOME? One in four adults around the world is unable to read. 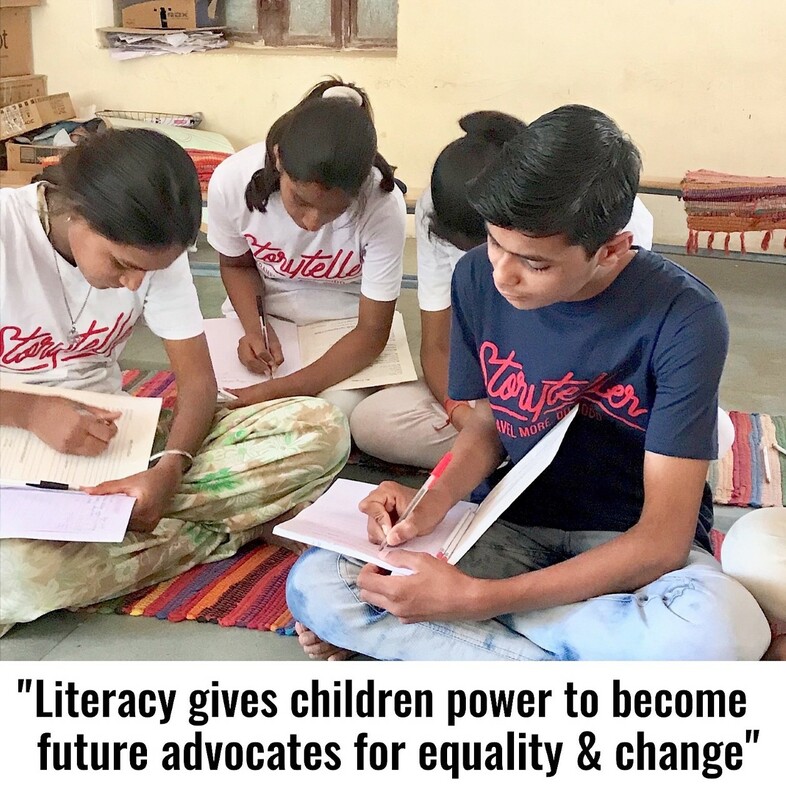 At Storyteller, we are passionate about overcoming such barriers to ensure access to education for all as well as empowering local communities to become self-sufficient by expanding their skillsets. PURCHASE – 10% of every Storyteller product sale goes directly into The Storyteller Fund. PARTNERSHIPS – The Storyteller team collaborates with like-minded organisations to help provide quality education to more people, by funding their work, supporting their services and working on new educational programmes in partnership. COMMUNITY – We use a share of our funds, resources, and volunteers to help run community workshops and educational centres in less privileged areas of the world. An opportunity for our Storytellers to directly help those less privileged. 100% of The Storyteller Fund goes towards funding educational programmes, materials and resources for our supported charities. Our Supported Charities have been chosen after showing years of outstanding impact and persistently delivering ground-breaking education based solutions in less privileged countries around the world. We focus on collaborative working with our charity partners to fund educational programmes and specialist skill workshops for both children and adults to help them create a better long term future. Here at Storyteller, we are transparent in everything that we do. From January 2019, we will produce an annual “Do Good” Report showing progress on our aims and details of every step we are taking to achieve them as well as publishing exactly where all of the funds raised have been shared. Want to learn more about how we do good?